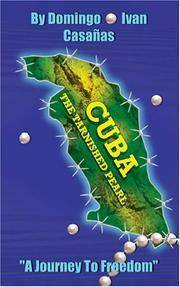 Cuba the Tarnished Pearl. "A Journey to Freedom"
Bookman Publishing, 2005 Book. 3. Trade paperback. Good. Ex-library. Cover with slight mottling; lower front corner bumped. Ex-library with usual markings on spine and inside front cover. Otherwise clean and unmarked. Binding tight. Trade paperback (US). Glued binding. Audience: General/trade. 209 p. Color illustrations. null. Bookman Pub, 2005-04-30. Paperback. Good.